Herzig snatches the first win of the season at Homestake Pass and Curry cleans up at the Copper Mountain Complex. In the ladies race Mimi Matsuda took Homestake and Lisa Curry ran the show at Copper. Mark Janikula and Billings Cross Promoter Rob Newsome swapped victories in the cat 4's and John Dub swept up the weekend in the masters. It's been a while since I toed the line seriously for anything competitive, much less a cyclocross race. After a couple of seasons of riding chairlifts, exploring scotch, and generally living "the good life", I finally realized that "the good life" is really bad for you. 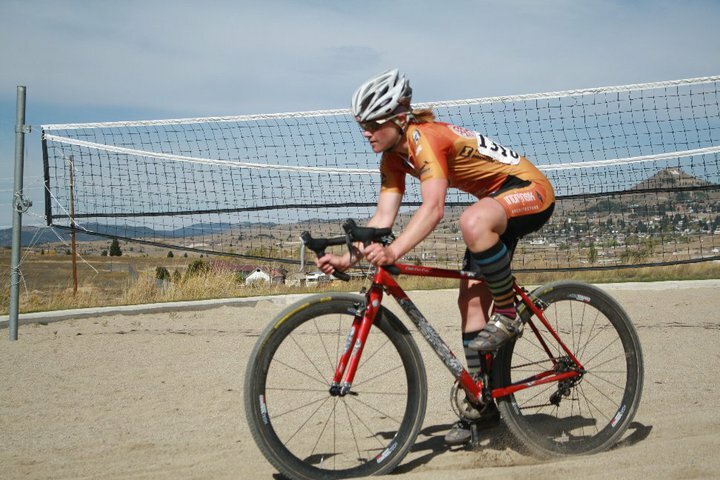 Last April I starting chipping away at a few extra pounds and trying to resuscitate some semblance of fitness, and came into the Copper Mountain Cross Race feeling cautiously optimistic and vaguely ready for what would be my season opener. When I think of cyclocross, images of blowing wet snow, frigid temperatures, burning lungs, and numb extremities rush fondly into my mind; this fantasy was in stark adversity to the conditions that the small but competitive field endured on Sunday. As the day wore on and the thermostat rose, the nor'wester (that's Boston for "400 degree death wind") continued to muster enthusiasm, and Toby and I discussed water hand-ups from the pit. We weighed the pros and cons. Now, a rationally thinking individual would have concluded that absolutely no harm can come from leaving a water bottle in the pit area, and that he could simply choose not to drink from it. We decided instead that the race was only 50 minutes, and that we were very tough, and that we could suffer through being a little bit thirsty for a few minutes. This was, of course, brilliant decision making. I've never been so hot and thirsty on a bike. Ever. After 10 minutes I legitimately thought that I would not finish the race. Before long a few folks wound up in the pit handing up neutral(ish) water support. Manacled by my pride, I insisted that the race was only 50 minutes, and that I was very tough, and that I could suffer through being a little bit thirsty for a few minutes more. By lap 5 I was greeted by my obligatory revelation (I remember this about myself between laps 4 and 6 of every 'cross race that I enter) that I hate cyclocross racing and love bicycle touring. My enthusiasm faded slightly and I felt my power diminish significantly. It felt like chasing Jensen (DDS) around the Rattlesnake in late July: it was hot and dusty, I had no water, it wasn't all that fun, and I knew that I would never catch him (or anyone). My next trip past the pit I managed to swallow my pride (which is the only thing easier to swallow with cotton mouth) and began to drink water and regulate my temperature a little bit. After a lap or two of sipping water I regained a few of my facilities (although the allure of full panniers, the open road, and 8 mph lingered), and I began to race again. 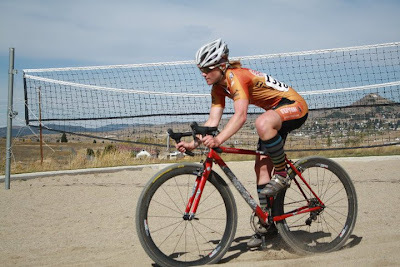 In the end I was left with a back of the middle of the pack finish, general satisfaction that I should be racing in the As, and a hella (California for "Wicked [Boston for "rather"]") salty skinsuit. Big thanks to John C. and his crew for putting on another great race, and for everyone who made it out to test their mettle in the hot, hot, heat.